I am not very happy with Best Buy. In fact, I am almost completely put off by doing these Bond articles because of them. When I decided that I was going to write a series of articles to commemorate the 50th anniversary as well as counting down to Skyfall, I knew that I wasn’t going to have all the Bond films to watch in HD. I had collected the previous set of Blu Ray single releases but they did not contain 9 of the films. I knew a big lavish box set of all the films were coming out at the end of September but in reality, I am not a big fan of collecting box sets, I prefer to have individual releases wherever possible. I found at that October 9th would be a magical day as three separate retailers would be exclusively releasing the last 9 films I need individually. Target had 3, Walmart had 3 and Best Buy had 3. They were set for each retailer to release three of the films individually. This meant that 3 of those 9 films would not be available at more than 1 retailer. This all worked out really well for me as the timing was right and one of the films I would need to watch and don’t have in HD is On Her Majesty’s Secret Service. I would go out get the film, go home to watch and be happy. The day of the release of these last films I decided to go to each location and get all 9 films. What the hell; I have wanted to complete this Blu Ray collection for some time. Due to where I was situated geographically when I decided to get the discs, I stopped at Target first, then Walmart. I picked up 6 of the 9 films and then off to Best Buy which had the last 3 films including the one I was writing about, On Her Majesty’s Secret Service. I get to Best Buy and there is nothing. Nothing at all. I look at all the shelves and end caps. I walk around the store thinking maybe there was some kind of display somewhere more prominent. Nothing. I talked to a person working there, who was very nice, asked me if I needed help. I explained my situation to her. She looked it up on her computer, nothing. I just left there shaking my head. I wasn’t alone. I checked online and there were a lot of people who were looking for these films at Best Buy. There is no reason given why there was any misdirection. If Walmart and Target could release the exclusives on the days they said they would, why couldn’t Best Buy? These are just movies and in the grand scheme of things make no difference what-so-ever. I know that there are people out there that would rather have a dilemma like this than the serious ones they face every day but for some reason this really annoyed me! I guess now the release date is 10/23. I am not really excited for it any more. I could pick these films up when they are no longer exclusive at some other retailer but that would hardly dent Best Buy. I just wanted to say the whole thing pissed me off. So I have to make do with the SD DVD of this release from the Ultimate Edition releases. I have to say that the film looked pretty good on my HD set. I will be honest; my heart isn’t really into writing about this one due to not getting the Blu Ray release I wanted. I know I sound like a baby. The good news is that, for me, this film never ever disappoints. I might go as far as say the On Her Majesty’s Secret Service is possibly the best James Bond film ever made. Though, after reading this article, some may doubt that I really mean that. I was told not to like On Her Majesty’s Secret Service. Well, maybe not in so many words but I felt like it was insinuated to me that this wasn’t a very good film. That was always the impression I got when my parents spoke of this film. 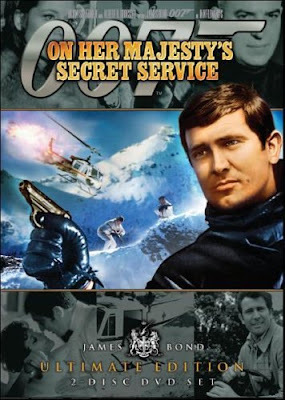 I think this was all based on the fact that this was George Lazenby’s only outing as Bond. I also think that they made reference to how he thought he was too high and mighty to play Bond and left. At least that was their impression. I am not entirely sure how they got this impression though I do not there was a lot of press about him not doing a second movie at the time which some of this information may have been gleaned from at that time. Over the years I tried to watch On Her Majesty’s Secret Service and never really took notice, that is because I knew it was Lazenby’s only outing and maybe it’s best that I didn’t get too attached to this Bond. Back in 2006 I started to do these “countdown viewings” to the new Bond film as I do now with 1 Bond film from each of the actors. I dreaded having to watch On Her Majesty’s Secret Service as it was long plus with the one-timer but I gave it go. Suddenly, everything I perceived about the film changed. James Bond started in 1962 with Sean Connery taking the lead role. Connery was Bond. 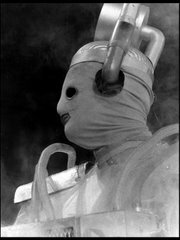 No one else in the film franchise ever played the role. The thought of him not playing it was unthinkable. During the filming of You Only Live Twice, Connery wanted out. It was decided to recast the role. I am not going into all the details of what transpired but we end up with a young Australian model by the name of George Lazenby. 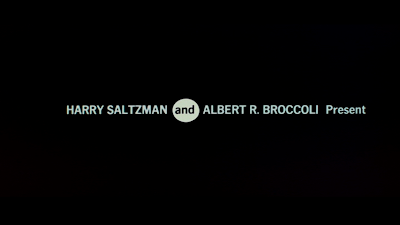 He had never acted before and I believe that producers Saltzman and Broccoli along with director Peter Hunt would make the mistake of not allowing anyone to forget this fact. No it didn’t. In The Making of On Her Majesty’s Secret Service, director Peter Hunt says that this was a nice line that breaks the tension of having a new Bond. That may be but I also think that it undermines George Lazenby as Bond. Yes, I am probably taking this too seriously but this is just one example of this happening. The opening credits are a montage of all the past Bond films and villains. When Bond is being brought back to Draco’s office, the janitor is whistling the theme to Goldfinger, and after Bond “resigns” he is seen going through his desk looking at artifacts of his past adventures which in fact are items from the previous films along with the appropriate audio cues. OK, I get it! This is still the same James Bond! I think those sequences are overkill. I think they could have kept the opening credits as they appear but drop all the other references. Yes, I know that audience members at the time were unaccustomed to Bond being played by a different actor but audiences would have coped. Bond wants Blofeld. It has been his mission for the past two years to find him and apprehend or kill him. Bond has no luck in tracking him down but because of a chance meeting of the daughter of a crime syndicate named Marc-Ange Draco, he may have a clue as to where to find him but at a price. Draco’s daughter, is to say the least, difficult. Because her father is rich, she can basically do whatever she wants. We meet Countess Tracy di Vicenzo at the beginning of the film. She is driving the car that Bond is pursuing. Even before Bond knows that this is Draco’s daughter, he has to help her out of a difficult situation at the casino. It ends with a thug (turns out to be one of Draco’s men) and Bond having an incredible fight sequence in Tracy’s hotel room. The scene is fast and brutal. I think this is why having a film editor is a great choice for a director. Peter Hunt edited the Bond films up this point before given the opportunity to direct. Of course Bond sleeps with Tracy after all the fighting stopped. At one point in this scene, to get the information Bond needs from Tracy, he hits her. I am not a big fan of that though I know they are trying to convey Bond as having the ability to be suave or brutal at a moment’s notice. Unfortunately Tracy doesn’t have any luck in this film as she is slapped by Bond and later in the film is punched out by her own father. I suppose not as bad as her ultimate fate. There is a wonderful shot of day turning into night from Bond’s terrace as we look over the terrace to a shot of the pool with people having fun out there but as it turns to night, all the people are gone and there is just the reflection of the “casino” sign from the roof overlaid on the pool. It’s very effective and smart looking. For Bond to find out where Blofeld is based on Draco’s information, he promises to marry Draco’s daughter. She is a bit of a prickly pear. Bond eventually gets the information he needs to track down Blofeld. It includes an awesome scene of Bond breaking into the law offices of Gumbold in Switzerland. There he finds out that Blofeld is in touch with the London College of Arms where Blofeld is attempting to claim the title 'Comte Balthazar de Bleuchamp'. Bond knows where Blofeld is and offers to go to his hideout, the Piz Gloria in the Swiss Alps disguised as the genealogist Sir Hilary Bray who could confirm Blofeld’s claim. This is when the film gets really interesting. Piz Gloria is such a cool and interesting building that it is a perfect hideout for a Bond villain. It is high on top a mountain with very cool architecture. Bond finds out the Blofeld is trying to cure some women of all sorts of allergies, among them is Joanna Lumley. In fact, in this film we get 3 girls from the Avengers. Obviously Diana Rigg, Joanna Lumley and Honor Blackman in the opening credits. Poor Linda Thorsen didn’t have a chance. Of course up on Piz Gloria, Bond starts having his way with the women, as he often does. Going through them one by one. OK only 2. One of the truly most frightening moments in any Bond film is when Bond is sneaking into the room of one of the girls, Ruby, and sneak up to her in bed only for us to see it is not Ruby but Irma Bunt waiting for him. Seeing her lying in bed still gives me nightmares. After Blofeld finds out Sir Hilary Bray is James Bond, the fun kind of ends. Bond is captured, and then escapes in a very cool sequence dangling from tram lines with the village way off the distance under him. Bond meets up with Tracy in the village which I always thought was rather fortuitous if not very coincidental. I know she is looking for Bond but the way she finds him was always weird to me. They escape in Tracy’s car and hideout at some farm. This is where the James Bond film take a strange turn. Bond asks for Tracy’s hand in marriage which she of course agrees. I’m sorry; I really don’t think the casting of Diana Rigg is right for this film. She seems too old in the role and there is nothing really friendly about her. I know she warms up throughout the film but it is just not enough for me. Perhaps I am the only person on the planet Earth that feels this way? In fact, with all the message boards I have read that are Bond related I have never seen anyone have this thought before. Am I the only one? The weird thing about the marriage is that it is originally a marriage requested by Draco of Bond in which Bond would receive a million dollar dowry. Something very puzzling happens, once Draco finds out that Bond and Tracy are getting married, he is almost against it. He keeps telling Tracy that it is too soon for them to get married. Blofeld is defeated. He is caught by a low hanging branch while tobogganing/fighting with Bond. We’ll never see him again. Bond and Tracy get married and the drive off amongst a wall of flowers. The end. Well, it could have been if Lazenby stayed on for another film. Lazenby didn’t want to do another one. The sequence with Bond and Tracy driving after being married with Tracy being killed by Blofeld and Irma Bunt could have been held over to become the pre-title sequence for Diamonds are Forever. I wonder what that film would have been like if Lazenby stayed on for one more film? I think George Lazenby did an amazing job of being Bond. It wasn’t a rip-off of Sean Connery. I know that Lazenby went out to get a Connery haircut from Connery’s barber as well as a suit that Connery didn’t want prior to getting role but I think that’s where the similarities end. Lazenby had his own way of playing Bond and was actually pretty menacing. 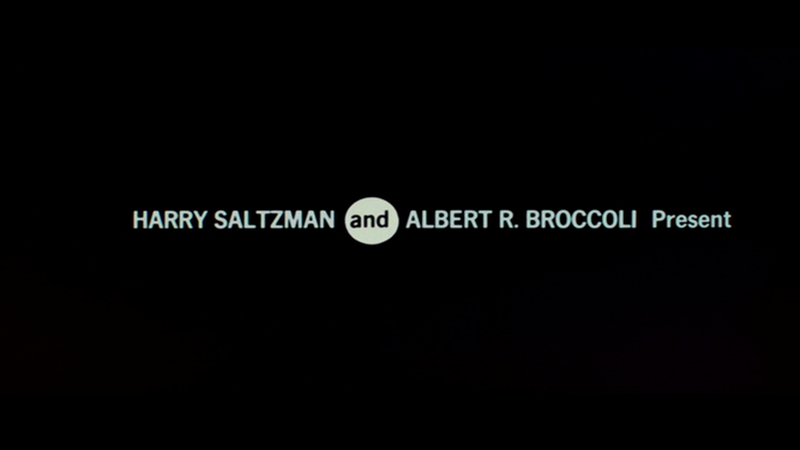 I don’t think it is an understatement when Albert Broccoli told Lazenby that if he stuck with it, he could have been the best Bond. I could have easily seen that. Telly Savalas is quite understated as Blofeld but he was mesmerizing to me. He was a fantastic villain that should have been back. We even get a really nice performance by one of my favourite character actors, Bernard Horsfall as Shaun Campbell. Ilse Steppat was Irma Bunt and it was an excellent piece of casting. It was to be her last film and she died 4 days after the film premiere. This film is also interesting as a chunk of it takes place over Christmas and New Year’s. Being set up in the Swiss Alps, the Christmas setting adds a great feeling of holiday spirit to the film regardless of its menacing undertones. There are a ton of nice moments in this film, just the wedding itself is full of them such as Bond throwing his hat to Moneypenny as he would throw his hat to the hat stand in her office. The lighting, colours, feel, actors, everything comes together for this film and Peter Hunt does a glorious job of pulling it all together. Sadly this was the only Bond film he directed. I think On Her Majesty’s Secret Service was considered somewhat the nadir of the franchise. I know that I am not the only who was able to see it for what it really is. It is one of the best films of the franchise and sticks out not because of how bad it was but how exceptional it was. It’s one of my favourite films to watch. Next week: I should do an article of the Roger Moore introductory film, Live and Let Die but I don’t know if I will. I have reviews coming up for The Duchess of Duke Street and the Blu Ray for Poirot Series 1-6. I will also be getting an article together for another favourite Bond film of mine, The Living Daylights, introducing Timothy Dalton as James Bond 007. Bond. James Bond. What can you say about the films? I have watched a good number of them over the years on the bid screen and on various home video formats. I even own a few on laserdisc. Yes, big ol' LD. But even so, OHMSS is one that I have never watched all the way through. I sort of have a good reason. Years ago I rented a vidwo of OHMSS and started watching. I was enjoying it enough when tragedy struck - the tape broke! I took it back to the store and explained what happened. Being a small shop they didn't have another copy, so I left. Since then I have never gotten around to checking it out again even though I know I should. Another film for the "someday" pile I guess. Perhaps on a future article I will comment on why I stopped watching Bond films and have not watched a new one for several years. You should finish watching On Her Majesty's Secret Service, I love it as you have read. I am surprised to hear you have not seen all of the films. I am intrigued to know why. Do you consider the franchise to end at Die Another Day and don't like the reboot? She seems too old in the role and there is nothing really friendly about her. I know she warms up throughout the film but it is just not enough for me. Perhaps I am the only person on the planet Earth that feels this way? In fact, with all the message boards I have read that are Bond related I have never seen anyone have this thought before. Am I the only one? Diana Rigg was 30 years old when the movie was shot. And I felt she was one of the best things about it. Sorry, but I don't agree with you. That's fine, you don't need to agree with me. In fact I stated in the article that I never heard anyone have the same opinion of Diana Rigg in the film that I have. I still stand by what I said and that I really don't care for her as Tracy in the film. I feel you Greg on the whole BluRay situation. I decided it was just cheaper to go with the British set than buy the other nine separately. I only had a few issues with OHMSS and that was from what I remember they try to do a good job of keeping Lazenby's face hidden and I am not sure why and the line that never happened to the other fellow. I just watched the Blu Ray of On Her Majesty's Secret Service and it looks far better than I could have hoped. I am so glad I finally picked up the last 3 films to complete my BD collection. I suppose what the franchise would be like if Dalton took on the role in the 1960s is one of the series big "what ifs?"